A comprehensive paper, The Maori Seats in Parliament by Professor Philip Joseph of Canterbury University can be read HERE. 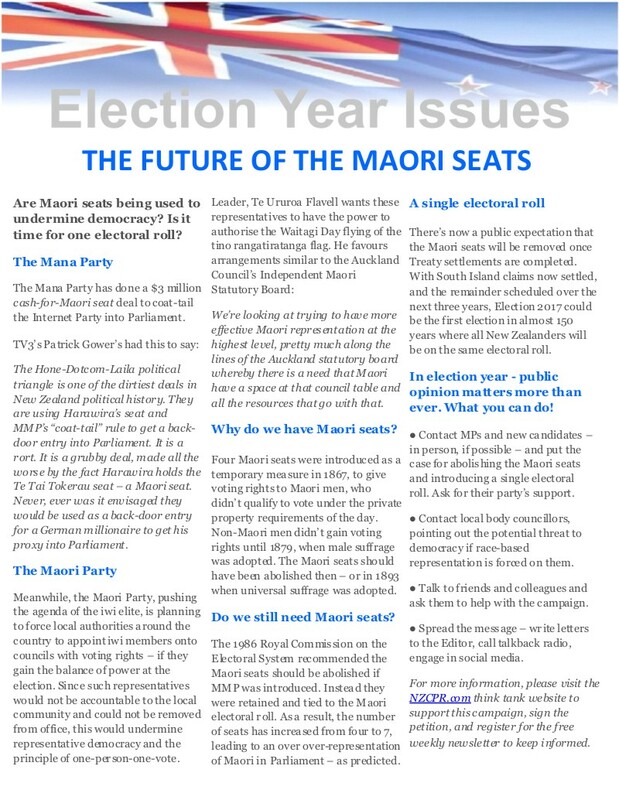 An NZCPR background article from 2013, Have your say on the future of the Maori Seats, can be read HERE, and a more recent paper, Maori Seats Undermine Democracy, can be read HERE. A summary issues paper can be seen below.